Media Line Entertainment has announced The East Light's abuse allegations against label CEO and famous songwriter Kim Chang Hwan as well as producer A have been resolved. On October 18, media outlets reported The East Light members suffered verbal abuse by agency CEO Kim Chang Hwan and physical abuse by producer A since 2015. According to a report by Xportsnews, producer A not only slapped the group members, who are all minors, in the face, but beat them with a baseball bat and metal microphone among other objects. It's also alleged the producer wrapped a guitar string around a member's neck and pulled every time the member made a mistake. Furthermore, he's said to have made death threats against the group members, saying, "I'm going to kill you." The East Light members are reported to have suffered injuries that include bleeding and bruises on their heads and behind. 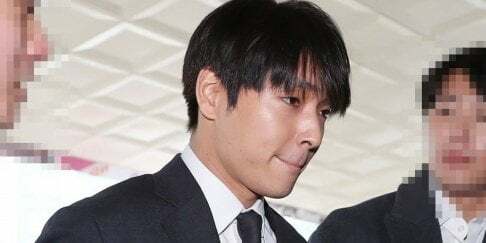 It's alleged CEO Kim Chang Hwan allowed the abuse to occur, and he would verbally abuse the members as well. An insider stated, "One member underwent treatment for physical and psychological trauma due to the physical and verbal abuse." Some members are reported to have met with a lawyer to take legal action against the company. Following these reports, Media Line Entertainment has released an official statement. The agency stated, "Firstly, we apologize for the unsavory incidents that have happened. We were first aware a year and 4 months ago that abuse occurred when the producer in charge of The East Light was guiding and educating them, and after discussion with the members' parents, we've smoothly resolved the issue and promised to prevent reoccurrences." The label added there hasn't been abuse since the issue was resolved, but some members have suffered emotionally, which is why it's come to light now. Media Line Ent. further stated, "The producer in question took responsibility for his wrongdoing and submitted his letter of resignation. CEO Kim Chang Hwan has been with the members since the very start of their careers 4 years ago when The East Light members were still trainees, and he's denied any abuse towards the members. Kim Chang Hwan treated the members like he was a parent, and he scolded them like any parent would. However, there was no abuse on his part." what are they thinking? the members are still minor.. imagine how terrified they were at that time..